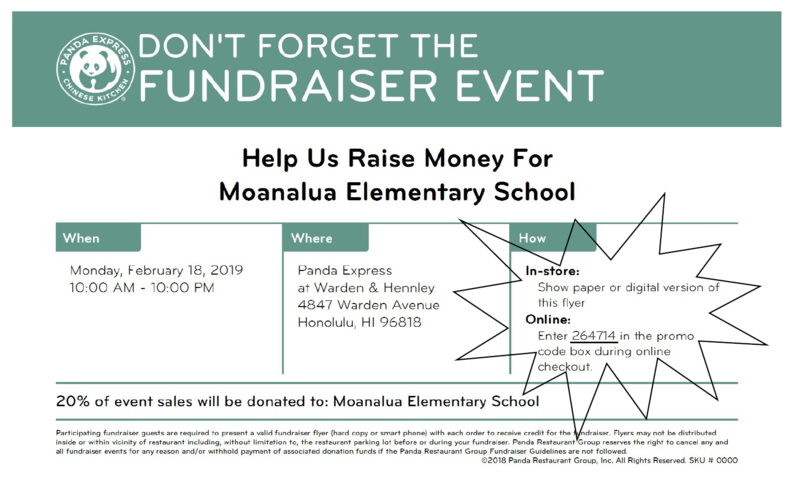 We’re having a fundraising event at Panda Express – Moanalua Shopping Center on Monday, February 18th (President’s Day holiday)…so you don’t need to cook ALL DAY!! The event starts from 10:00 am and runs through closing (10:00 pm). Please visit Panda Express and enjoy delicious food, while helping the school fundraise!! Please share this with all of your family and friends! !